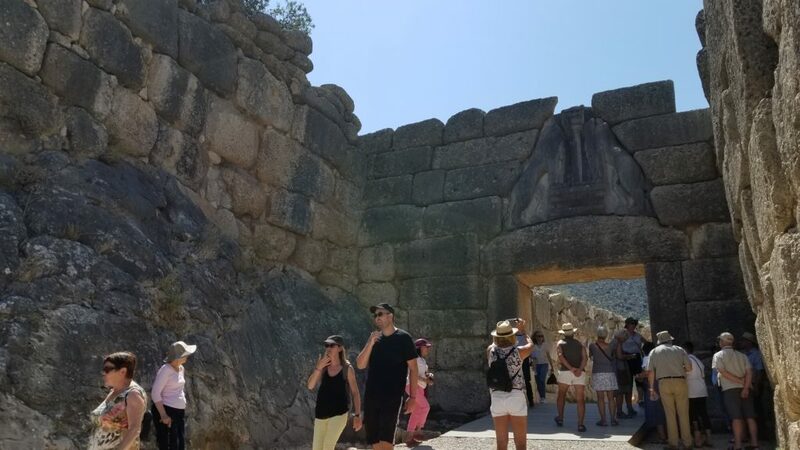 Entering the Citadel of Mycenae through Lion Gate. 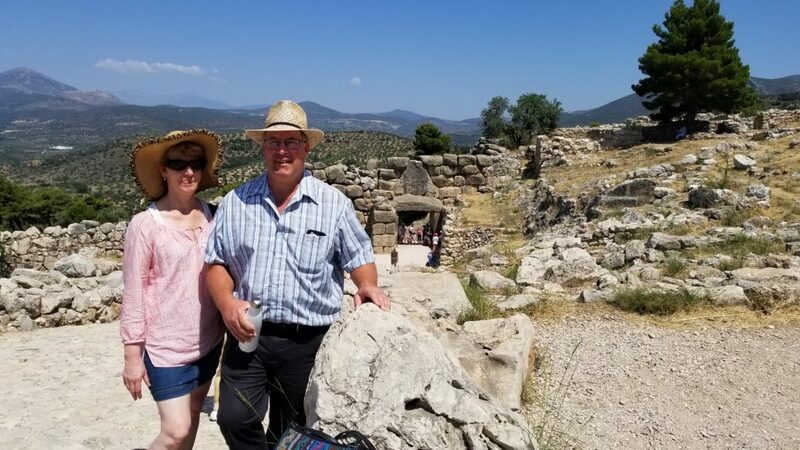 Esther and Ernie hiking up to the Palace at the Citadel of Mycenae. 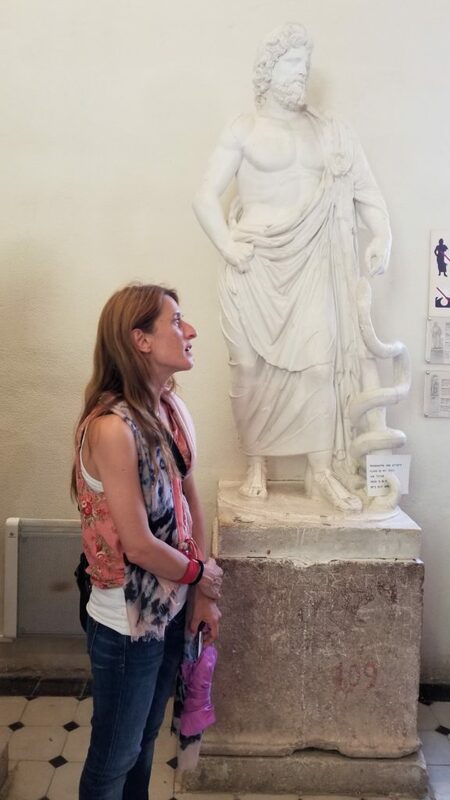 Lida standing in front of a plaster of a Roman copy of a late classical statue of Asklepois. 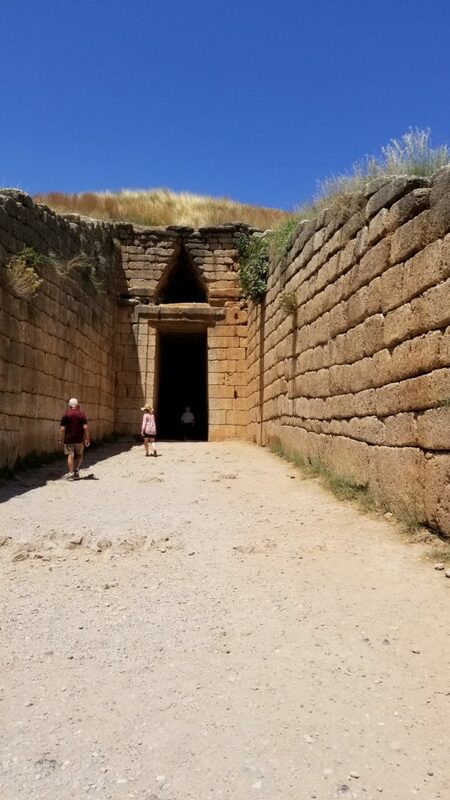 Mycenaean Treasury of Atreus chamber tomb.